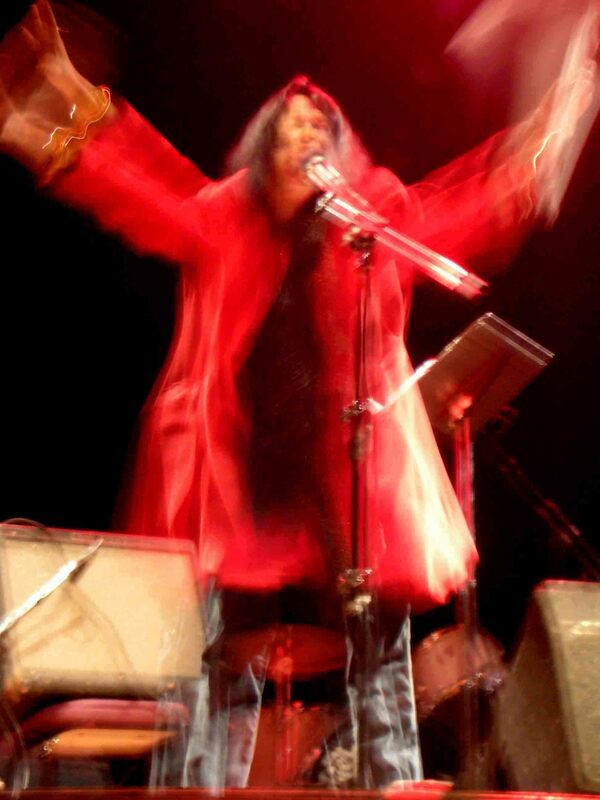 Anne Waldman is a woman who addresses the world with capacity, clarity, and intent. She feels the pain of our strands of linear patriarchal dissonance and seeks to resonate with a voice that confronts and at the same time challenges us to find magic, dream, and non-linear space outside of this constrictive definition. The feminine is embraced with a strength that encourages collaboration and breath. Waldman’s nurturing address is simultaneously flexible, vulnerable, and fierce. 1.) Where are you from? What were the first inspirations that made you desire to become a writer? New York City, although I was actually born in Millville New Jersey where I lived a few weeks before returning to Macdougal Street in Greenwich Village. My father was in Germany during the war and my mother went to give birth near his family. 2.) If you were asked to create a flexible label of yourself as a writer, what would it be? How has your own work changed over time and why? I “poet” covers most of the ground which includes the sense of orality and performance but I am also an editor, a cultural activist, professor at the very fluid Kerouac School involved with “infra-structure poetics”. Over time, I began to work on longer projects. Investigative projects that go deeper and deeper into my own psychic patterns of consciousness. 3.) Who, what, where, influenced you as a writer? In other words how did you arrive here as a writer? A sense of being part of a continuum of writing- a community of writing through time was important. The classics, a sense of lineage……the work of Yeats, Wallace Stevens, the Romantics, Ezra Pound, H.D., Gertrude Stein… & the old poetry- Chinese, Japanese sages. And the singing of the India artist such as Shubalaksmi, the Egyptian Om Kalsoum. Opera (I listened to the Met broadcasts as a child). I was developing naturally as a writer. It was not about “influence” It was shared concerns, empathy, curiosity. I was going in a lot of directions. It waa about adhesiveness, what is it you love or desire? I think it’s more important to talk about the directions that were happening organically, not “influences.” We are not simply “tabula rasas” that come in to be influenced! And this model seems so academic. But some of my excellent teachers at Bennington: Howard Nemerov, Bernard Malamud, later back on St Mark’s places where I started working at the Poetry Project (in 1966) Ted Berrigan who was an active “first responder”, my mother Frances LeFevre Waldman, Edwin Denby. The heroes of the New American Poetry: Robert Duncan, Frank O’Hara…I had also met Dane diPrima when I was about 17 years old, seeing her “in situ” at the Albert Hotel with child, alchemical texts, Buddhist shrine was empowering…writers of my own generation- Bernadette Mayer, Alice Notley. But it wasn’t mentorship. I was very clearly finding my own way. Allen Ginsberg was an example of the generous rhizome- connecting up the world. I feel I found my own way, that as a woman I was charged to re-invent the world. 4.) You write that “the poem is a textured energy field or modal structure. The poems for performance seem to manifest as psychological states of mind. They come together in a mental, verbal, physical, and emotional form, making their particular demands on my voice and body. I am the ‘energumen’.” Do you believe that performance poetry needs to encompass different elements that accent the performance or is all poetry performance poetry? This is a good question. Of course as we read poetry silently we are also performing it in our heads. And many elements play in our minds, and you can actually also feel the language in your gut, your heart, your own intellect and imagination. It can traverse a lot of boundaries of experience. In a way how you read or present aloud can also do this, but you also want to be nuanced so that the participant- the audience person – can also be involved with their own relationship and individual response. You want to open that up rather than shut it down. I don’t think I would say all poetry is performance poetry. I also have trouble with that term” performance poetry” in any case as the ultimate defining term. It is not adequate to the task. The root is “parfornir” to do something in front of an audience. But there are subtler issues of the way the language works in the public space, the gestalt of the whole “poet” person, the quality of the voice, the range. I never like these things “rehearsed”. 5.) You have been cited as saying that you believe performance poetry to be a “ritualized event in time”. Could you please expand on this idea of ritual and performance and how it has affected your work? Work or writing generally starts in private- the Ur-text as it were, or ur-ideas, and then it is re-actualized in performance in public space in a particular time frame that has certain boundaries. But it actualizes the energy of the first spark. But the situation might also allow for improvisation. It’s not that there is a proscription for this- or an absolute theory that would indicate how to proceed. Ritual is “an act re-done” and it needs to be as potent as the first time to make the energy come alive. 6.) Lisa Jarnot says of your work that you are “possessed with a passion to witness, to understand, and to describe. For years she has inhabited a poetics of responsibility. Now the highlights of that journey are gathered together, revealing the luminous path that she has carved through the middle of the imperfect world. Vow to Poetry is a vow to life – enlightening, challenging, and crucial to the American tradition.”Can you describe what it means to you to have a poetics of responsibility? How has the development of your spirituality and cultural activism affected your poetry? I think they are inseparable and inhabit my sense of the duty of the poet, especially in these dark times. I think you are attentive to the pain of the world and that you hope through art and poetry you can relieve some of that suffering. 7.) I am interested in your perspective regarding the relationship between the melopoeia of language and music and how they overlap/support/emphasize each other in ways that would not be possible without collaboration. The melopoeia is inherent in the poetry, so the possibilities for “sounding” already exist. And then one can take this forward. And of course collaboration, yes, opens the field, as with the “Cyborg on the Zattere” opera project with Steven Taylor. It has four singers, several musicians and readers. Everything is enhanced through the actual music. 8.) Can you further discuss the importance of collaboration and how this act impacts your own poetics? What are your plans for the future? It is hugely important, and I am interested in the mind and patternings of others in the work they do. I don’t formulate these kinds of acts. Every collaboration has its own vision and shape. Whether it’s working with painter Pat Steir on piece entitled “Cry Stall Gaze” that the Brodsky Center at Rutgers is printing- beautifully I might add – that will be presented as a scroll, or the work I do on my husband Ed Bowes’s movie scripts. Ambrose is very active in what he appreciates and wants in my work. As for my plans, I am working on a “poundatorio” a mini-opera using the “knot” of Ezra Pound– his brilliant poetry & his difficult & offensive politics– with composer & musician Steven Taylor. A new CD with Ambrose Bye, my son, and we will be traveling to Montreal and Europe soon for performances.. A new writing project. Iovis- the 1,000 page hybrid is forthcoming this June, and that will lead to further travels. A new anthology from the Naropa archive. 9.) Who are promising women writers to look at in the future? So many I encounter almost daily. Women around the Belladonna collective, women working through the Kerouac School at Naropa nexus, around the Poetry Project. Programs like New England College Low Residency MFA. I think community is important for younger women writers.